It’s been a looong time since the last post but there is a good reason, recording has become so smooth with the release of Ardour 4 that I can’t stop recording! Seriously, Ardour has not crashed or hickuped once since the install months ago. Close to 1,000 hours of tracking time so far. 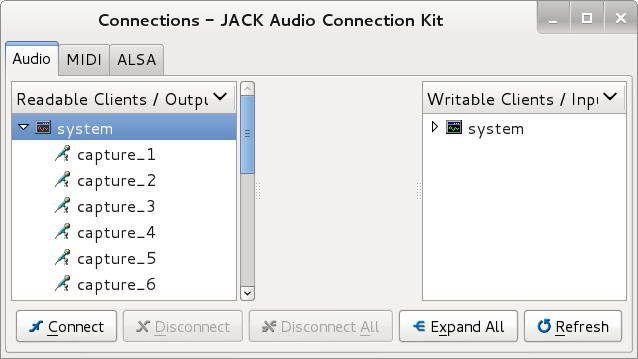 The built in audio connection manager is great, even though I admit to falling back to Jack Connections from muscle memory from time to time. Good news is no matter which way I made patch changes everything ran smooth and no xruns or issues of any kind. Nice work by Paul and crew! Donated to the Ardour project and downloaded the 4.0 installer for Linux. There will be a new blog post in the days to come covering the install and diving right into a new recording project. Lets assume we have a total of 8 tracks setup for recording a drum kit. Once we have a piece of music recorded and have the basic mix levels achieved lets suppose we want to “group” all the cymbals in a group titled Cymbal Group, all of the toms in a group titled Tom Group and a final group for all 8 drum tracks and we’ll call it Drum Group. The reason I like to do this is once a group has been defined you can right click on the specific group tab and select “Edit Group”. This gives us some options for this group. By selecting “Gain” and “Relative” options whenever once tracks gain is adjusted it will also adjust all other tracks in the group. NOTE: If you wish to adjust an individual track previously assigned to a group it must first be removed from the group. The track can be added right back to the group once any individual track adjustments have been made. A Bus allows the routing of multiple Tracks via Ardour or qjackctl to a single fader. 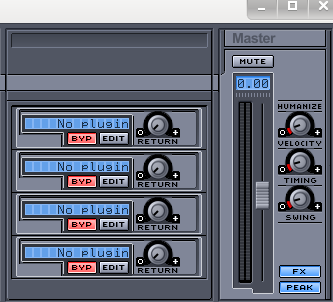 You can then add plug-ins, adjust overall all level of “all” tracks routed to the Bus and much more. Bus’ and Groups can be used separately or together depending what your needs are for a particular project. As with everything experiment and try different things different ways until you find what works and most of all Have Fun Making Some Music! Here is a little ffmpeg fu to convert video files to HTML5 webm format. With a little duckduckgo’n you can find quite a few more examples. The man page for ffmpeg is also very useful. 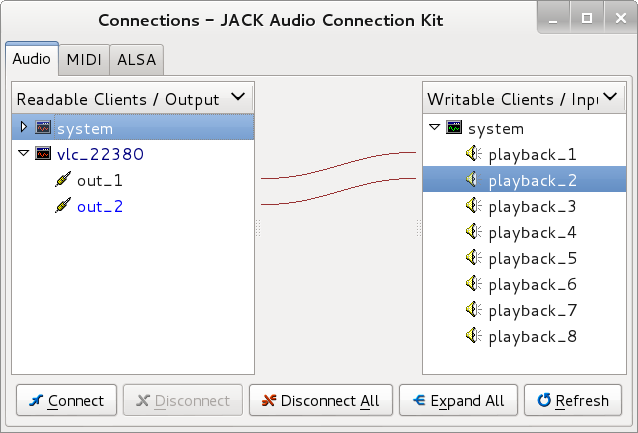 You can convert audio only files also. a little bug in the system…. Nothing like the summer flu to bring things to a screeching halt. Back on track now and will have some new music and posts this week. Rock On and Happy Recording! 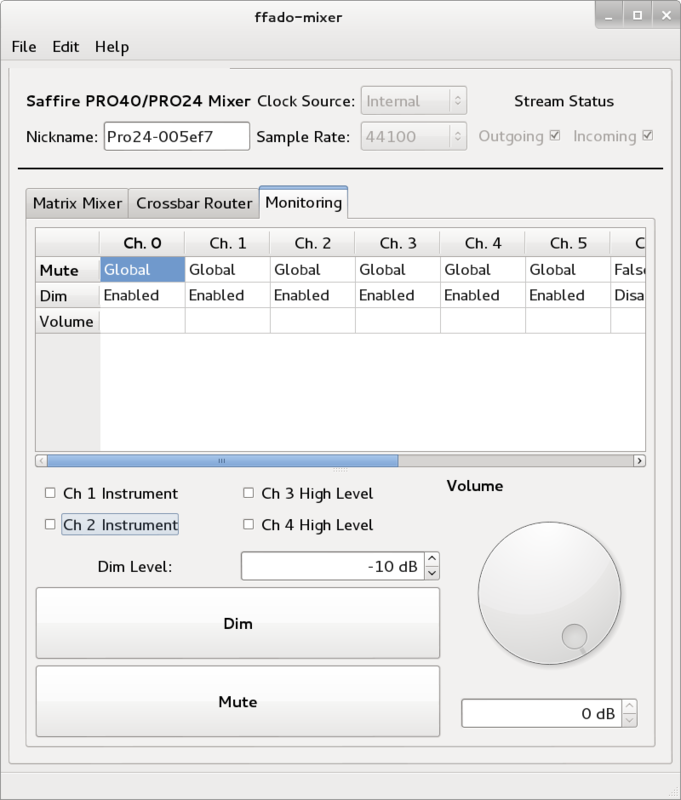 In this post we’ll be discussing signal routing using ffado-mixer with the Focusrite Saffire Pro24 for Monitoring audio. First lets do a quick run down of the Monitoring tab window. As in Part 1 we are only concerned with the Analog outputs 1-6 of the Pro24 which correlate to Ch. 0 through Ch. 5 in the Monitoring tab. On the left of the screen are Mute, Dim and Volume. At the time of this blog the big Volume knob has not been incorporated so we can ignore the Volume row. Mute and Dim however do work and come in useful. Set each Ch’s Mute option to Global and Dim option to Enabled. now when you click the large Mute button at the bottom of the window ffado-mixer will Mute all 6 Analog outputs. As you would expect clicking the Dim button will cut the level of all 6 Analog outputs by the amount you set in the Dim Level settings box. I have mine set to -10 db. 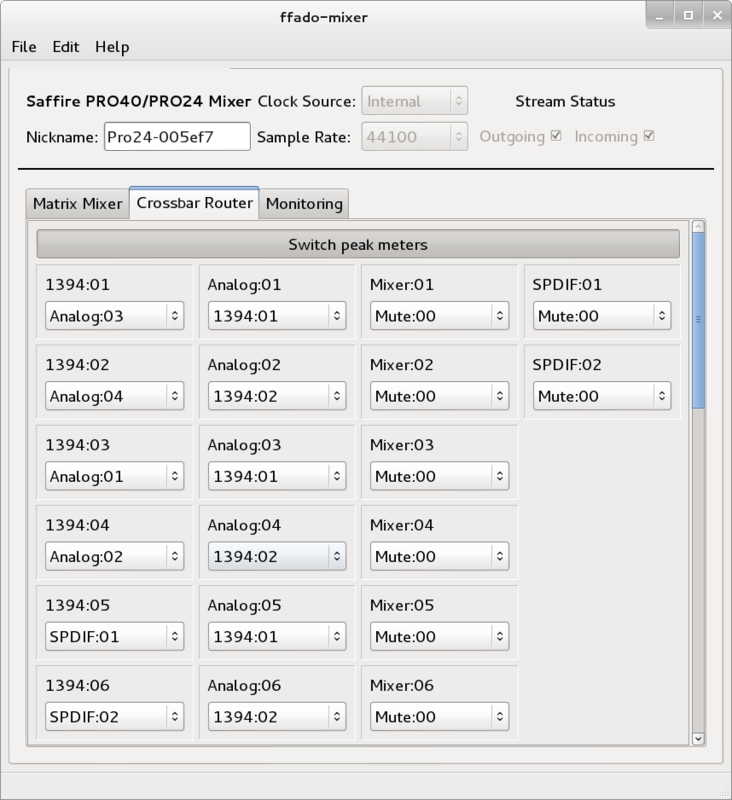 In the middle of the Monitoring tab window are 4 option boxes for Ch 1, 2, 3 & 4. Ch 1 & 2 can be switched to Instrument level input gain. Ch 3 & 4 can be switched to High Level input gain. As always if in doubt leave them off until you duckduckgo more information on the difference Instrument and High Level connections. The Big Volume knob will hopefully be fixed soon by the ffado-mixer maintainers to work properly with the Pro24. That is the only issue that is important to this musician at this time. Part 3 will cover setting up for a recording session from powering up the DAW to hitting Record and the many things to do in between. A couple days off for health reasons turned out to be a great thing for getting inspired. Limited in mobility, decided to experiment with guitar setups and sounds. Formed a horse-shoe fort with guitar amp, laptop on a diner tray, notebook and coffee on a 2nd diner tray blocking the world out. Started with guitar > wah > amp at first. Around my 2nd or 10th trip to the kitchen to refill on coffee my old BlueTube preamp caught my eye and sparked a “signal strength” track of thought. An hour later after slowly moving things around to acquire said preamp I had it added into the signal chain as such, guitar > preamp ch1 > wah > amp. The BlueTube I am using is the 2 channel or “Dual Path” model. I pulled the stock tube and replaced it with a Groove Tubes Gold Series 12AX7 tube. I don’t have any sound samples to do a before and after comparison but it made a big difference to the sound, at least it did to my ears. NOTE: The tube drive level has a lot of affect on the tone so if you happen to try this setup I would suggest starting with the tube drive and gain levels at 0 and compare that sound to your guitar sound without the preamp. This will reveal to your ears if there is any coloring of your sound, with the BT levels at 0 it should sound like the tone you get without it in the signal chain. I’ve had 3 of these units in the past when my studio was still in full swing and did a comparison, 2 out of the 3 didn’t seem to color the sound at 0 but the 3rd did brighten the sound. Everything has its own characteristics especially if tubes are involved so don’t assume they are all identical. That goes for anything, pedals guitars amps, no 2 are identical. Update Aug 17: After some tweaking the final setup for this gear and session will be guitar >> ch1 BT >> wah >> amp >> Direct Out to Pro24 ch1, Preamp Out to Pro24 ch3, SM57 Mic’d speaker cabinet to Pro24 ch2. While no drum software will ever be as good as a human drummer, with some time and effort you can get Hydrogen drum tracks to sound pretty damn close. Here are some things to do to help get your tracks feeling a bit more human’ish…. The first thing I do when creating a new Hydrogen drum track after choosing the Drumkit is to open the Mixer window and adjust the Master channels Humanize, Velocity & Swing knobs. As a starting place I usually adjust all 3 knobs to just above the “0” setting, roughly the 8’oclock position. Next we’ll close the Mixer and go back to the main Hydrogen window. On the right side under the Instrument tab the bottom knob labeled “Random Pitch” is how to adjust each individual instrument in the Drumkit. A setting of 0.10 is usually what I will add to each instrument in the kit as a starting point. At the bottom left of the screen there is a drop down menu of settings to make further adjustments to help humanize the tracks. The “Velocity” setting lets you adjust each hit’s loudness. By clicking the down arrow next to Velocity you can access the setting for “Lead and Lag” also. Adjusting this setting is probably in my opinion the most important one in getting the right “feel” out of the hit by adjusting whether the hit is slightly before or after the strict beat point. By adding just a bit either way you can really give some huge character to your drum tracks. These are just some of the things you can do to help get more feeling from your Hydrogen drum tracks. Now go make some music!